I am the original owner of a 12.5" f5 Cave Astrola Model D Transportable. Due to it's size and lack of suitable observing site this telescope has set for years. I would consider the mirror, tube and mount to be in good condition. There is a tangent arm, I believe for declination control, that is detached due to stripped screws, but should be able to be easily fixed by someone handy. I'm looking to sell it, but have no idea what it would be worth. I've looked on Astro-Mart and elsewhere but can't find anything similar. Can anyone help me out with pricing? 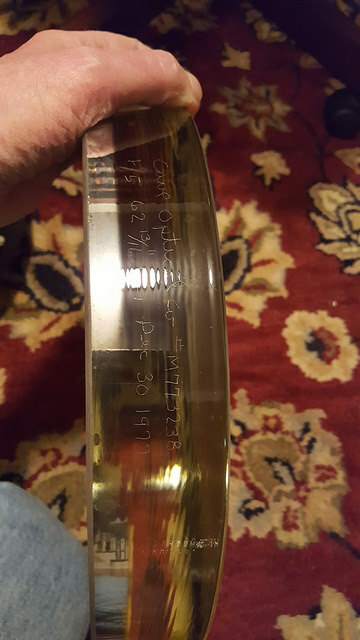 The mirror is inscribed by Cave as 12/30/77 and includes two finder scopes. Picture is attached to help with visualizing what I have. I'm not an expert, but there are some here (Jon, Dan, Tom, and perhaps one or two others) who could give you a better idea. I have the same scope, but is basket-case condition (sat in a field for untold years), so my experience doesn't help. The problem with value for such a scope is the same issue you had - size and suitable observing location. I'm going to build an observatory, but short of that, it needs to be on wheels and have a decent place for storage that is handy. Prices I've seen are somewhat all over the place. The problem is, I think, that even "pricing for a quick sale" will not generate a quick sale unless totally stupid cheap, and then someone would simply try to flip it. What I'm trying to say is that you should expect it to take a while to sell. A 12.5" Meade Research Grade (very similar scope) took forever to sell in SoCal (we know that scope well because Jon gave it to Justin who ended up listing it on eBay for around a year). If it were me, I'd probably look to list it for $1,200-$1,500 and be willing to move on price if a serious buyer came along. The scope is probably worth more than that, but the demand for such a large scope is limited. Location can play a factor as well. I've seen lesser scopes listed for more, but they tend not to sell. And I've seen similar scopes sell quickly in this price range, but not that often. So how is that for being equivocal? The market for large reflectors is at an all-time low I think. And often those who do want one end up with a modern HD Go-To mount. Great scope though and good luck. Thank you. All good thoughts on current value. I'm also limited with buyer proximity, since shipping this would be expensive. Guys, remember the TOS, no sales posts in the main forum. It is one thing to ask value, but other discussions about location/possible sale need to be taken offline. $1200 is the avg. I could never even take it for free. Just the OTA alone is too heavy to lift and mount up, and the mount is maxed out with a such big OTA. Looks to be in good shape, if the mirror is super great then maybe $200 smackers more. I would think a one owner 12.5" Cave in really good condition would be worth a lot more than $1200. we will wait and see what the experts say. Maybe to some it is worth well over $1200. Look what i am gonna pay for a 1976 C5 that you think i am crazy to pay that much for. Price depends on the person. There are scopes i would pay double the going rate nate. Then there are scopes i won't take for free. I like George's assessment. I completely agree with it. The biggest problem these big old GEM-mounted Newts have is that they're already at the edge of being adequately supported. I wouldn't even want to think of deep sky astrophotography with one. A modern SCT is a lot easier to do that with, plus it will likely have goto. And a dob-mounted 12.5" Newt will be easier to use and transport for visual purposes. But is the GEM mounted large Newt really worth less than a modern 12" goto SCT or dob? Very dependent on the person looking for one. Sadly, those are few and far between, which is why ads for these often take months to sell. When I bought my 12.5" Cave Transportable Observatory, it had been listed on craigslist with a 6" Model A deluxe for some ridiculously low value - just a few hundred bucks for both scopes, IIRC. I wanted a chance to look at them before they were snatched up, so I called the seller and told him that, depending on condition, they might be worth a great deal more than that. I was able to buy both scopes for $1K, because they both needed some work (the 6" more than the 12.5"). But in truth, I probably worried about nothing, as I think I was the only one who seriously responded to the ad. And that's probably because other people interested in them knew how hard it would be to pick them up and find room for them at home. In general, I think I've seen the value of these 50s-70s scopes go up maybe by a factor of 1.5x or so in the past 10 years. After all, they're approaching or have exceeded 50 years of age, and many are probably being parted out or discarded, rather than being kept intact. Yeah, I agree that it should be, but that is where location really plays in. Justin started his listing around $1,500 IIRC and it went below $1,000 before it dropped off eBay (and I presume sold). The market for these scopes is limited and many factors like location play in. Just goes to show what people will pay for these monsters. Look at the crazy offer i made to you for that Cave 12.5" Observatory you have. Now after owning a 2.5" Cave mount i no longer want a heavy Cave Observatory scope. These large scopes do belong in an obsevatory. Might be called transportable, but who would use it as such. I think i offered you $5000, but shippng and distance was the prob. Always in Cali like i say. Not me. No way i am breaking my back lifting such a big and bulky OTA. It's not only the weight, but the size and trying to grab onto such a big tube that is the problem. Plus you need a van man to haul them around town. 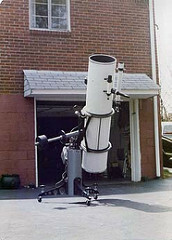 You could probably adapt something onto the rotating rings to interchange it onto a Dob mount without any modification. FWIW Rolando said the best view he ever had of Saturn was through a 12.5" Cave - 800x was no problem. You could. But the OTA weighs so much more than a truss would that most would never bother with it. Edited by Gary Spence, 06 January 2018 - 12:06 PM. 2017 - Model D Transportable (12.5" f/6 mirror from May 1975 (good physical shape but not "first lighted yet); 1.5" shaft GEM with clock drive aluminum setting circles and declination slew (ring gear) in poor shape (needs full disassembly and restoration)); no pier or legs; fiberglass OTA in great shape (5" longer than the '79) with rotating rings; 1 1/2" focuser; 60mm guide scope; 8X50 finder; no eyepieces. $700. After my first reply I've been thinking about this a lot more. Us old farts may be the last generation to appreciate and own these scopes. For two generations Dobs have ruled the large reflector market, and while I abhor Dobs generally, Jon posted a photo that requires no additional explanation. The big reflectors are too big to haul around and while they can be adapted with Go-To and auto-guiding, for the costs involved, it's cheaper, easier, and lighter to just buy a modern mount. I abhor Dobs, am not a fan of Go-To (but fully understand the need for them for modern AP), and I'm going to build an observatory, so these are in my wheelhouse. No observatory and I'd be in a modern mount. With the younger generations eschewing ownership, the market for these scopes will continue to shrink. They likely will become primarily collector's items. They are just too big at 12.5" and more. I can't lift them anymore like i could when i was 14. You never see them at Starparties marty. 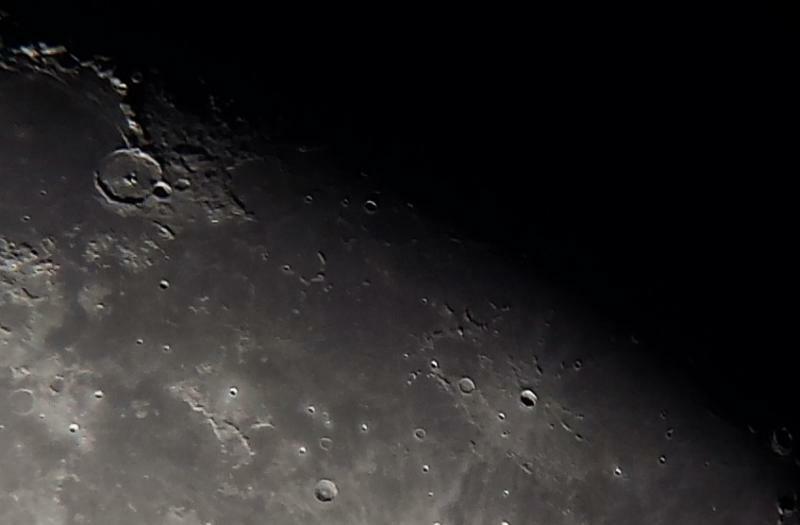 If i had a true dream scope it would be a 16" F/8 Cave housed where i could just view and not have to move it around. for the record, the views through the '79 Cave have been consistently magnificent (even from orange/white zone northern VA). This telescope will be placed in an observatory (far from northern VA) once I retire. Edited by John Higbee, 07 January 2018 - 11:32 AM. "Maybe I need to buy land and set up an observatory. Suggested that to my wife, but she said it didn’t make sense." I hope your wife will forgive my presumptuousness, but she's wrong. That would actually be the best solution for this scope, better than selling it. It would remain in the hands of an appreciative owner, and (if necessary, after refiguring) provide stunning views on a joy of a (possibly somewhat wiggly) German equatorial mount. I, personally, would love to have such an antique in a private observatory, yet I am a good example of why finding an impassioned buyer would not increase its market value: I know that, as much as I may want it, there is no reason to pay a premium for something nobody else wants. As an example, years ago, I had an extremely rare electric bass appraised at Gruin Guitars: a fretless-from-the-factory Rickenbacker 4001. I will never forget the appraiser's clear, yet rudely flippant, explanation of why an ordinarily fretted rocker's bass is worth little when customized for jazz: "Hemophiliacs are rare, but I would not pay to be one." You have a great and historic telescope, yet it is burdened with weight and bulk for both shipping and using. Everyone knows that, making it harder to sell, yet no less of a joy for the right person to use. Be that "right person!" Build yourself an observatory (and then invite us all over for star parties! ).